In a healthy eye, fluid within your eye circulates and flows out through a mesh-like channel. So long as this fluid is allowed to flow out without resistance, intraocular pressure stays at a healthy level. However, if this mesh-like channel gets blocked, and fluid outflow is hindered, intraocular pressure may rise to unsafe levels that may eventually cause damage to your optic nerve. The cause of this blockage is not fully known, but seems to be hereditary. Although much more rare, glaucoma can also be caused by a blunt or chemical eye injury, severe eye infection, blockage of blood vessels in the eye, conditions which cause the eye to become inflamed or complications from eye surgery. Although glaucoma is generally associated with age, specifically the over 40 set, it is possible, in rare cases, for young adults, children and infants to develop this condition as well. Certain ethnic groups are statistically more susceptible to glaucoma than others. The African-American, Irish and Hispanic communities are among those at increased statistical risk. A family history of glaucoma or diabetes may also increase your risk. Catching glaucoma early on is extremely important. Early detection opens many treatment options to save your vision. Special glaucoma eye drops either reduce the formation of fluids in the front of the eye or increase its overflow to overcome the blockage that normally causes intraocular pressure to build. This is the most often prescribed solution to control intraocular pressure and prevent optical nerve damage. A number of surgical procedures also exist to reduce intraocular pressure with the use of a surgical laser. The laser may be used to open up the mesh-like channel of the eye or make a tiny whole in the iris to increase outflow of fluids. Alternatively, the laser may be used to treat the part of the eye that is in charge of fluid production, in order to alter it and cause it to produces less. 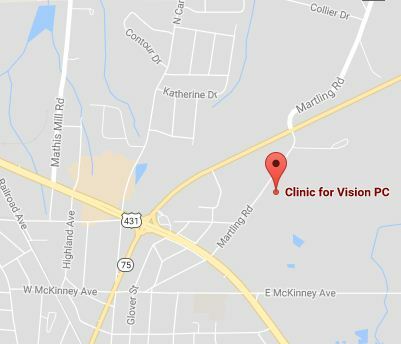 For more information on this important subject, contact Dr. Nichols, one of the foremost glaucoma specialists in Alabama, today.